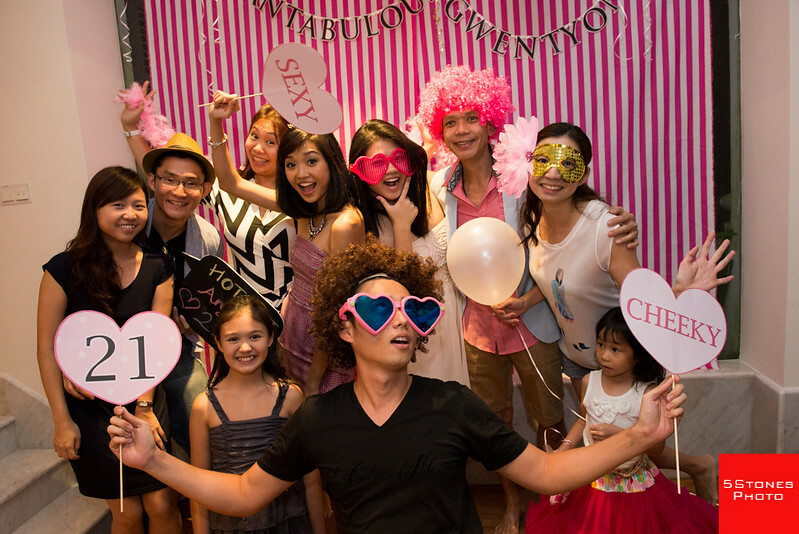 Victoria Secret-themed 21st birthday bash for Gwen (second from left) at a magnificent Capella manor at Sentosa Singapore. 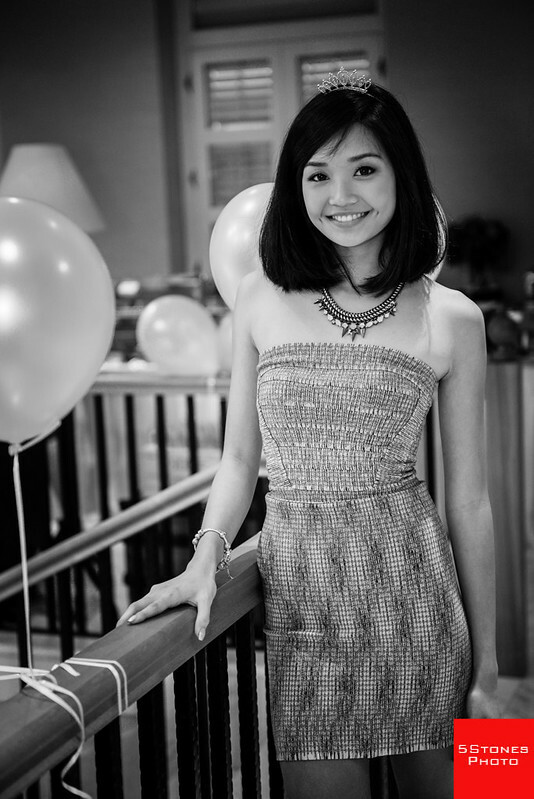 I have had the privilege of being engaged to shoot Gwen in a Victoria Secret themed event, a bubbly girl with an effervescent personality bubbling with a myriad of expressions, and is not afraid to show. In fact, so natural was she in front of the camera that I would consider her one of the easiest clients to work. In essence she does make my job easier with her natural and pleasant demeanor in front of the camera. Only this wasn’t a normal model or editorial fashion shoot. 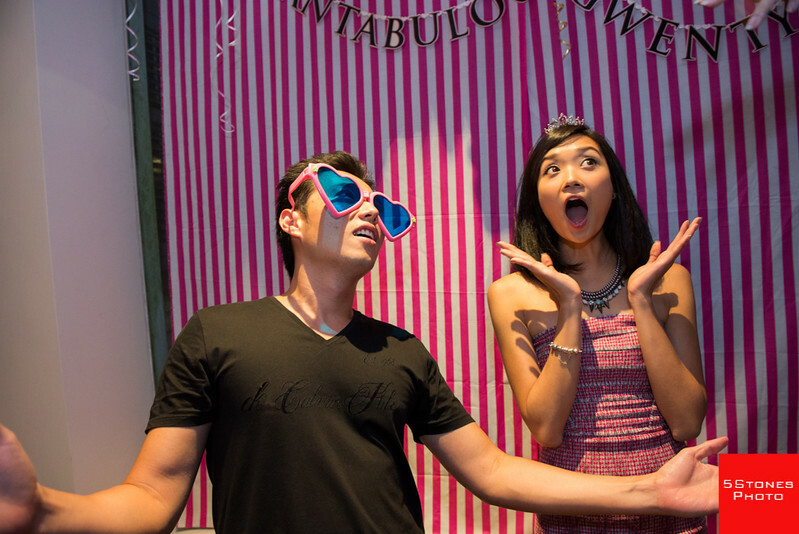 This was in fact her very fun and enjoyable 21st birthday bash, and unlike the actual Victoria Secret fashion show, this was a back to the basics good old-fashioned wholesome fun-filled birthday bash with plenty of laughter, smiles, happy faces and wine to go around. A celebration of a coming of age. Gwen looking fabulous and natural in front of the camera! Expressive Gwen in front of the camera. 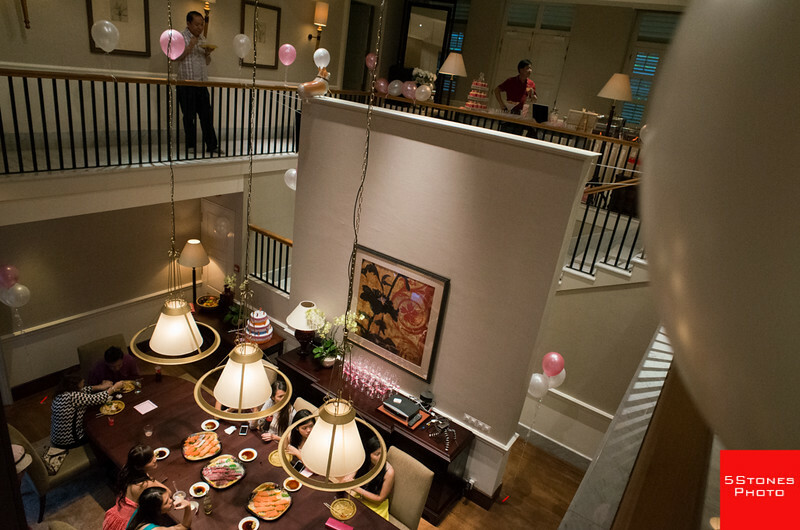 Project Gwentyone (credit for the name goes to her mother / Gwen herself – I didn’t coin this witty term) took place at the equally magnificent Capella Manor at Sentosa – this colonial style manor is exactly what I hoped it would be – grandiose in size and beautiful in its design. 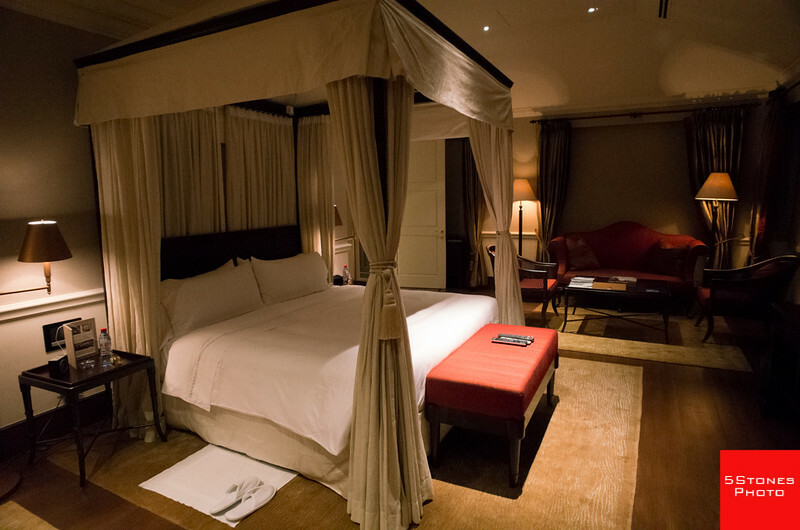 I mean, check out the following pictures of the interior, especially the bedroom (that’s just one of a few rooms in the manor itself). 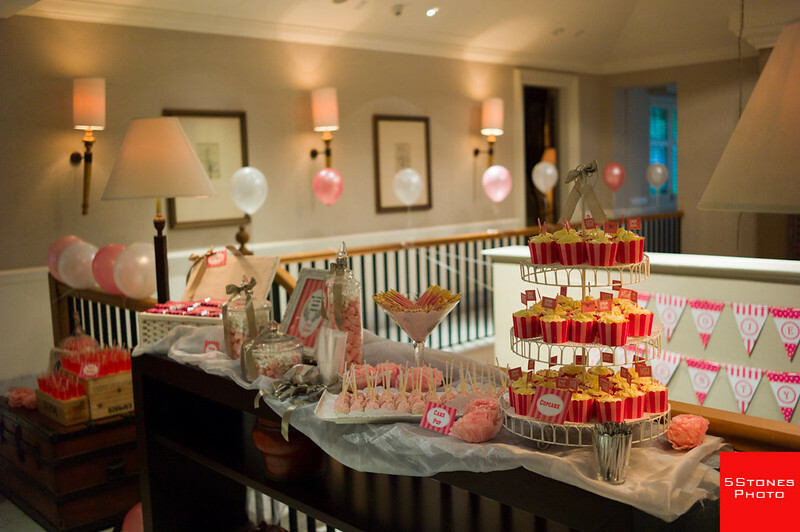 Guests entering the manor were greeted with a pink themed candy table! Overview from the top level of the manor, which is where the main door is. That portrait of Gwen and her younger sister Genevieve is actually a painting by Gwen’s friends from polytechnic. Overall view of the top level and dining area below. The Capella Manor at Sentosa is huge and grandiose in size. Check out the size of the bedroom! 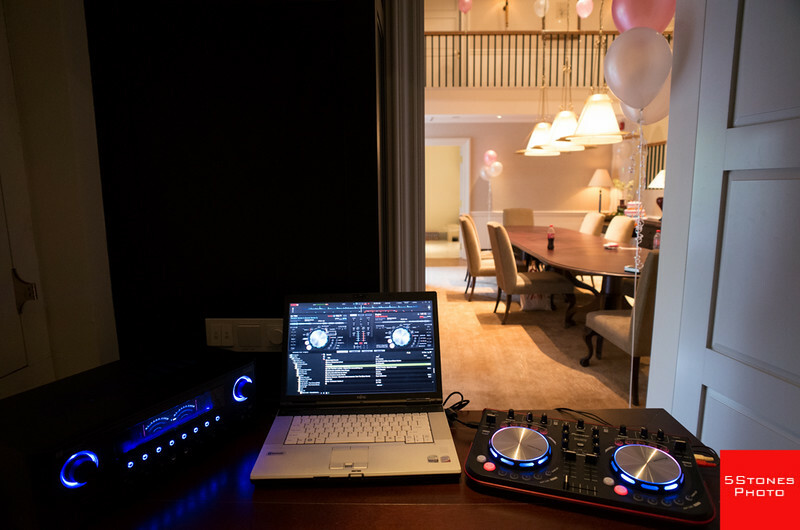 A guest / meeting lounge served as the DJ room. As you can see, this is also one of the most color-coordinated theme birthdays I’ve ever attended – any color is ok here if it’s pink. In line with the Victoria Secret (VS henceforth) theme (VS for the uninitiated is a major international fashion store known for its lingerie, though it has a range of other products catered mainly for women), VS robes adorn the main hallway as VS angel wings hung underneath the pink robes – supermodels on VS catwalk shows are called “Angels” and they get to walk the runway brandishing the lingerie pieces once they have obtained their “wings”. There was even a projection of Victoria Secret runway show on the wall of the dining area! Victoria Secret pink night robes hung on the wall together with the classic VS themed wings. 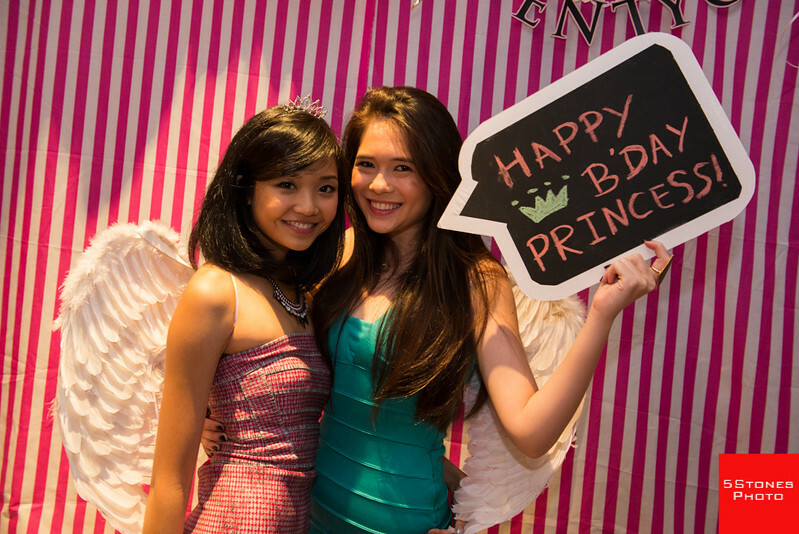 Birthday girl Gwen (right) posing with her good friends with the Victoria Secret wings during her VS themed 21st birthday party. Victoria Secret runway show projection on the wall of the dining hall in Capella Manor. Pink adornments and sweet wrappers (even the sweets themselves) line the main table greeting guests as they enter this huge manor. My favorite is the “Project Gwentyone” branded Kit Kat chocolate wrappers – what an exquisite idea! 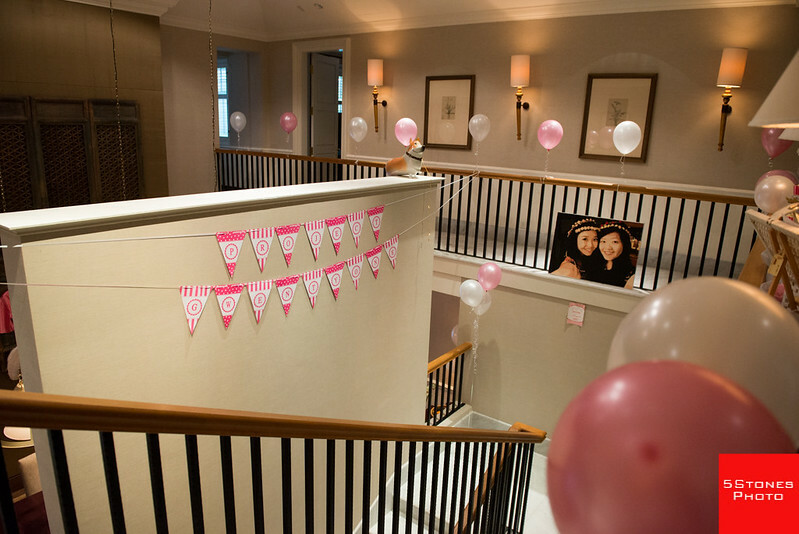 Check out the “I love pink” signs on top of those cup cakes too – little touches like these revealed the level of planning and thought processes that went into the execution of this coming of age party. 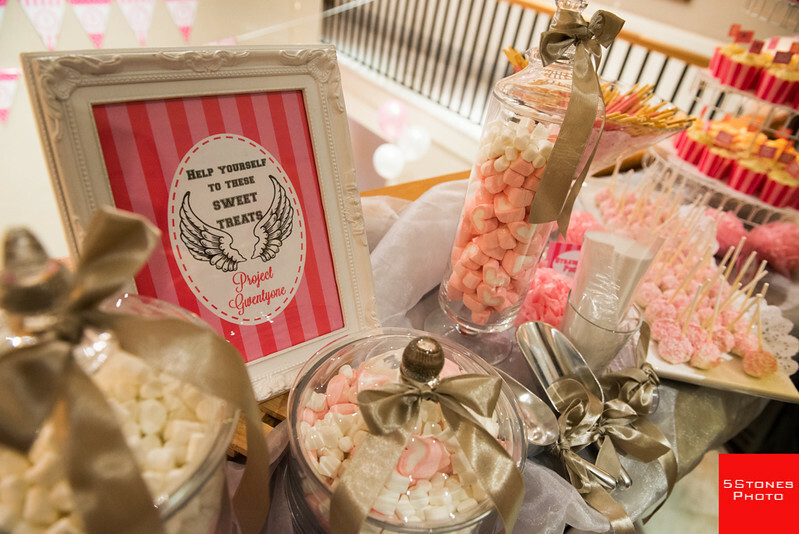 Pink-themed candy table with an assortment of sweets and candies. This is Project Gwentyone. 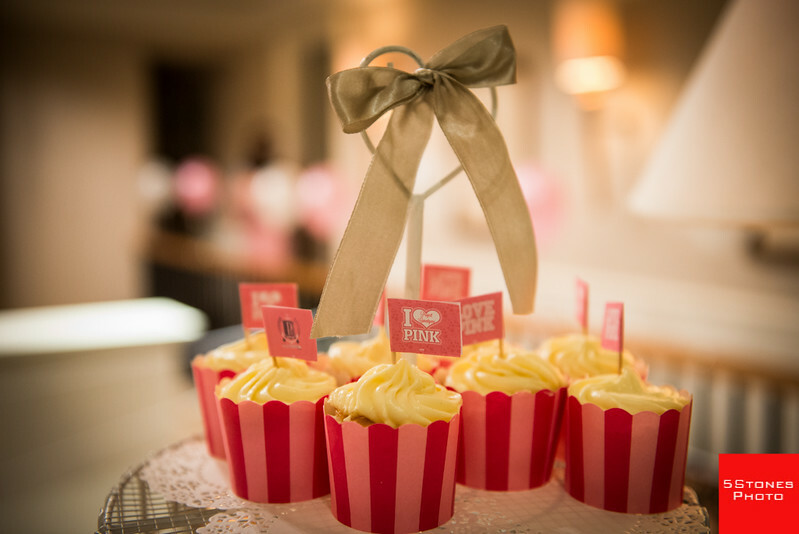 “I Love Pink” cupcakes – every decoration here is strips of red and pink. This is a very consistently color-themed birthday bash! 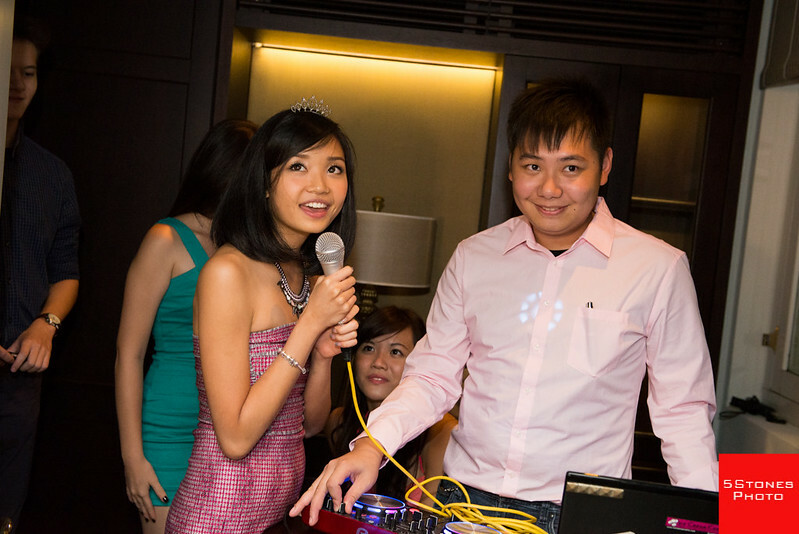 Speaking of a coming of age, here’s Gwen with the requisite candle blowing, cake cutting photos. 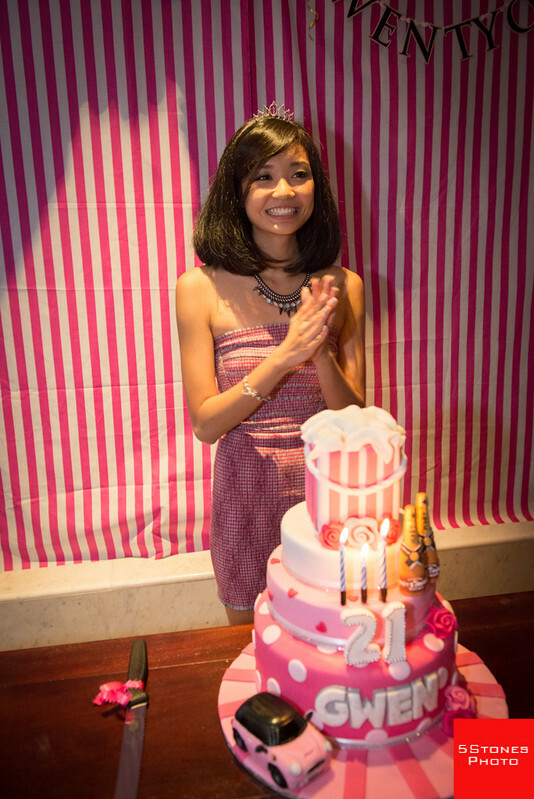 The cake is of course, themed with the same pink and white stripes, with a mini-cooper by the side, no less! 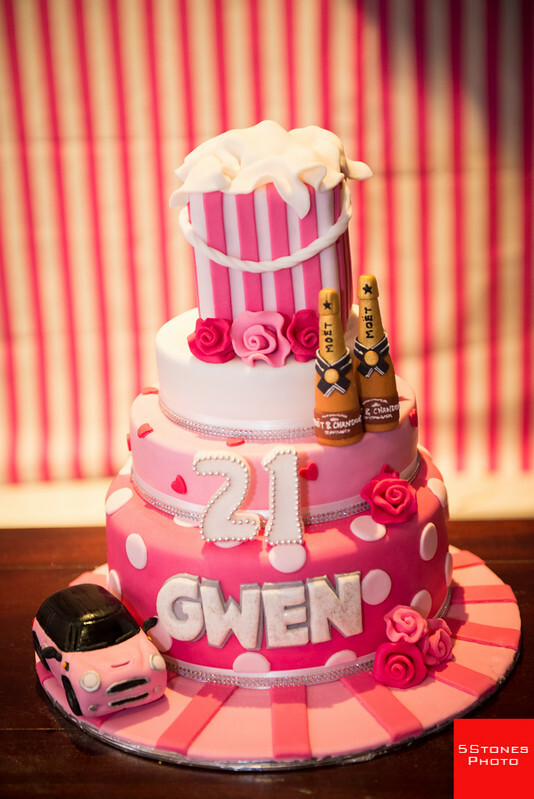 Gwen’s 21st birthday cake – note the consistent pink theme, mini cooper and the 2 bottles of Moët! Looking gorgeous and respldent, Gwen celebrates her coming of age as a young adult. 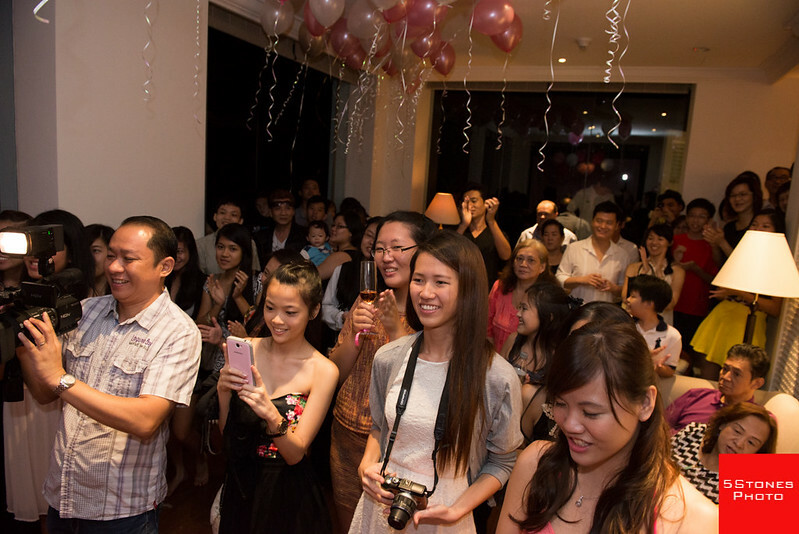 A hall full of guests celebrated Gwen’s coming of age together with her at her birthday bash. Here’s the real Moët! 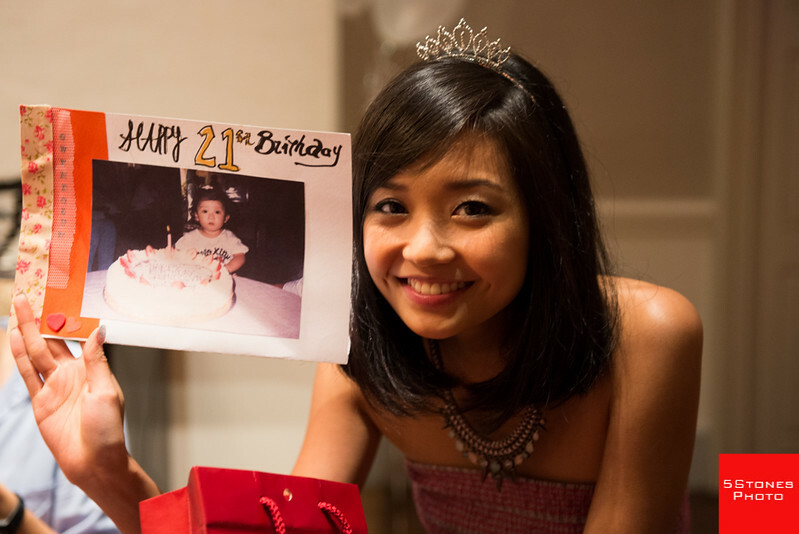 Gwen comes of age during her 21st birthday. Gwen holding up a photo of her as a baby during her 21st birthday coming of age party! 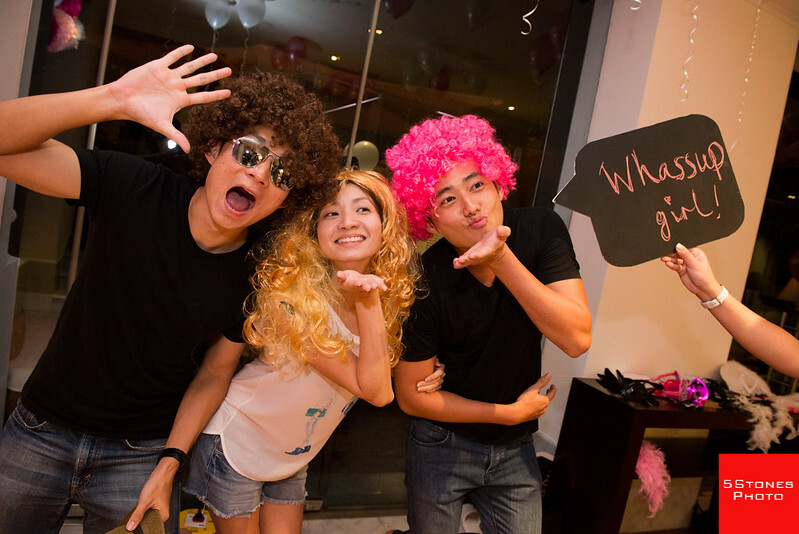 The party was a lively one and of course it helps that family members and guests are spontaneous and expressive! 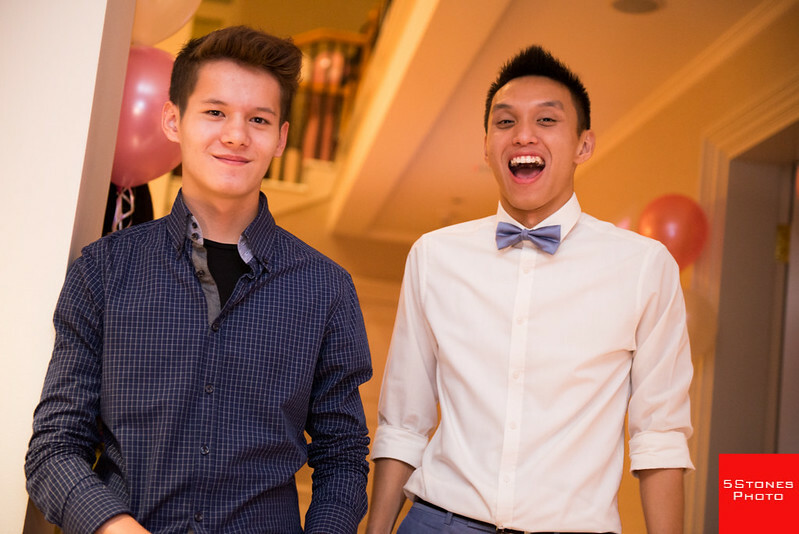 This is a party where everyone is unreserved in their expressions of joy during this happy occasion. 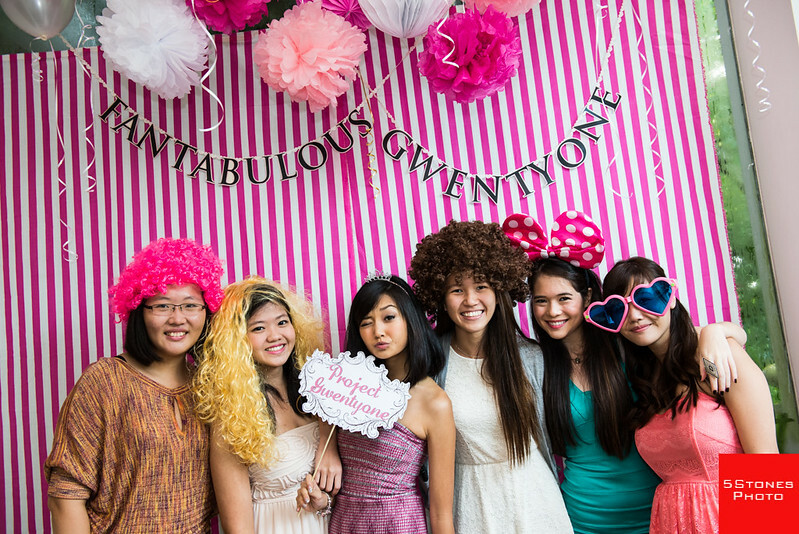 Gwen with good friends in front of the photo corner decorated with pink and white stripes. Gwen is one of the most naturally expressive girl I’ve ever photographed. And her friends, family and guests too! 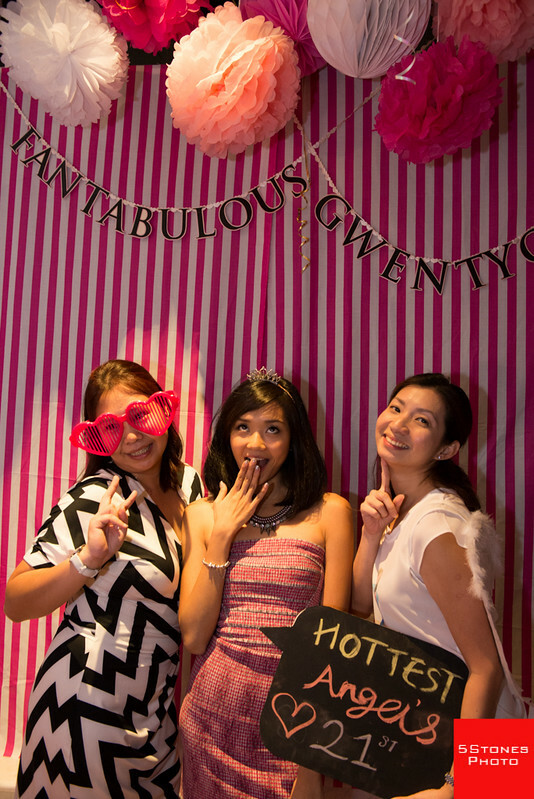 Hottest angels 21 – relatives of Gwen having fun with her at the party! Gwen is a natural in front of the camera. An array of props, signages and wigs helped make posed photos a riot! 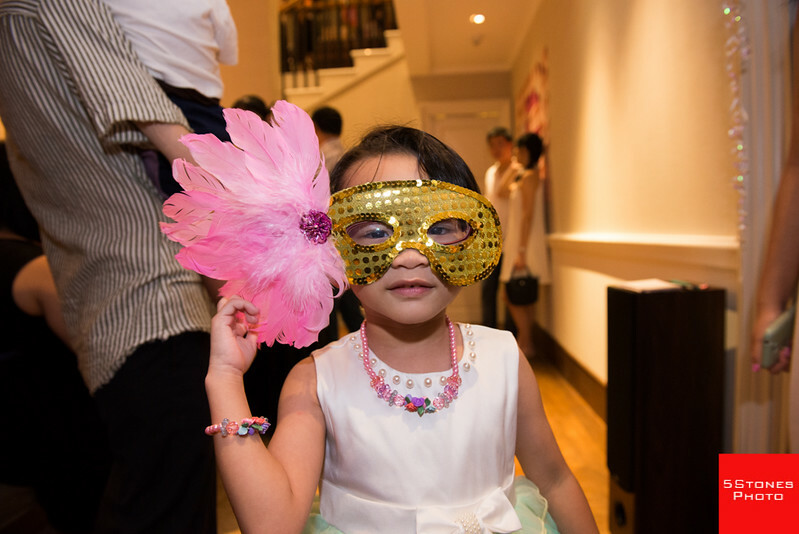 Kids are always the life of any party – I spent a lot of time photographing the kids too! 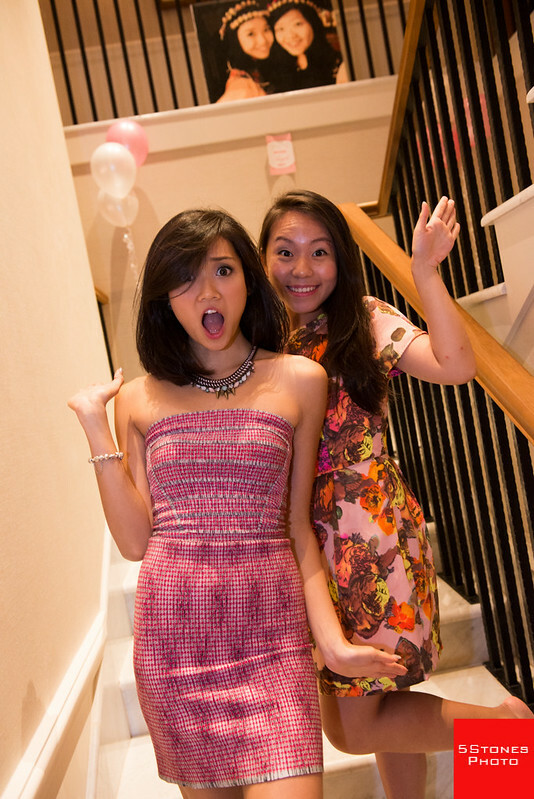 The photographs below are some of my favourites from the party. 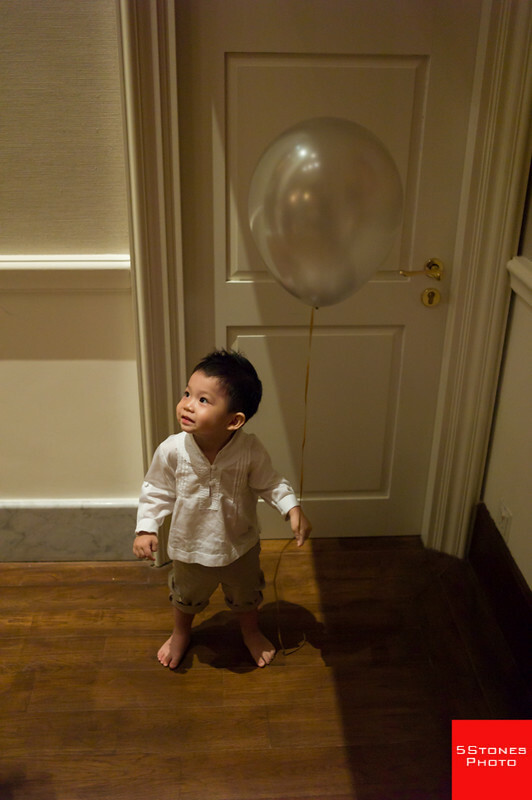 Kid with balloon standing in the light. Masquerade – this photo reminds me of the Masquerade scene in The Phantom of the Opera which I photographed recently. 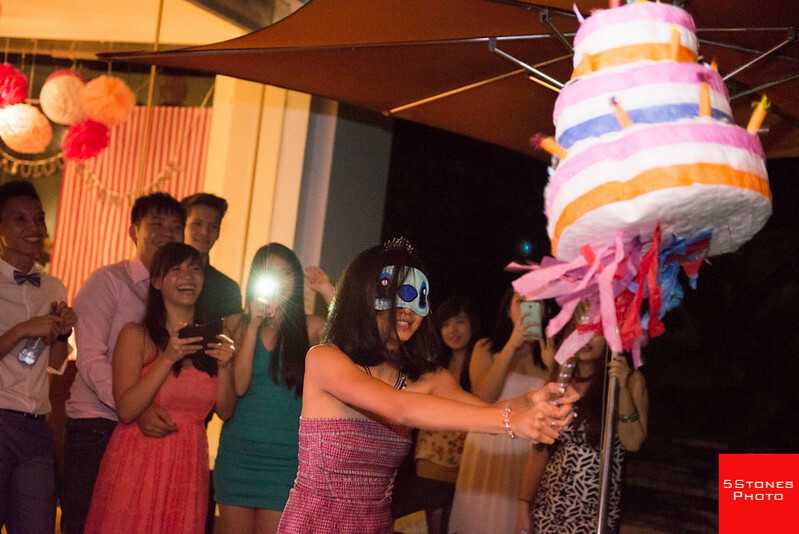 There was even a piñata in the shape of a birthday cake for Gwen – though it’s a fun activity for parties, I don’t see it often in Singapore. No, actually this is the first party I’ve been to where this tradition with Spanish roots was practiced! Gwen scored a direct hit at the piñata while blindfolded. As a primarily black and white photographer, here’s the last photo with my film noir treatment. Gwen in black and white!